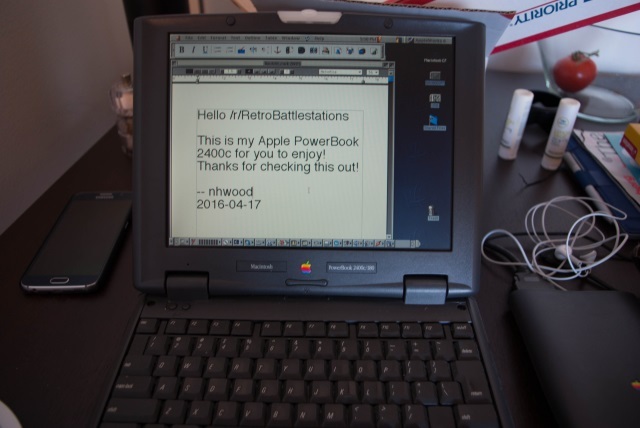 This is the second installment of my "Adventures in old Tech" theme of posts. 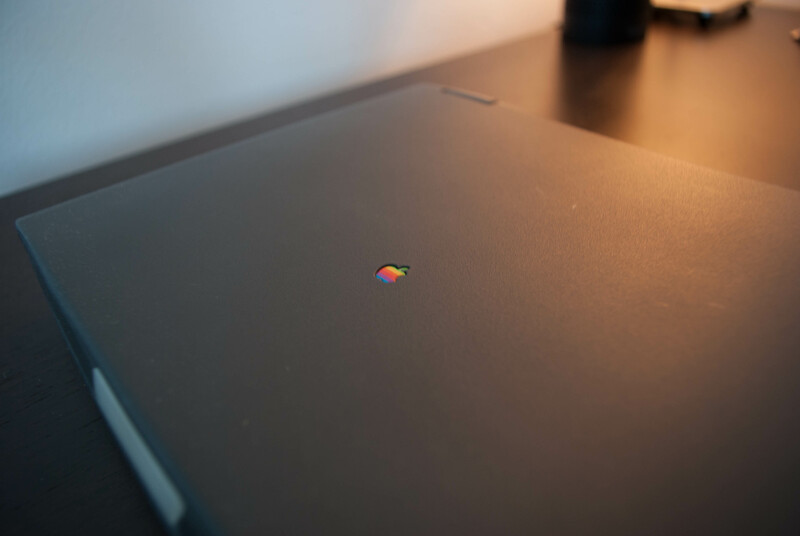 I hope you enjoy reading about one of my favorite laptops ever created. The PowerBook 2400c has an interesting design history compared to other PowerBooks of the era. 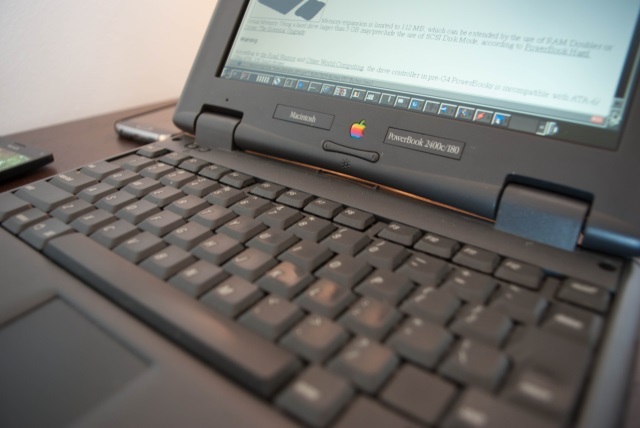 According to an article from MacWeek in 1999, the 2400c was co-designed by Apple and IBM Japan to fit this new "subnotebook" class of machines that Japanese consumers had started to gain an appeal for. 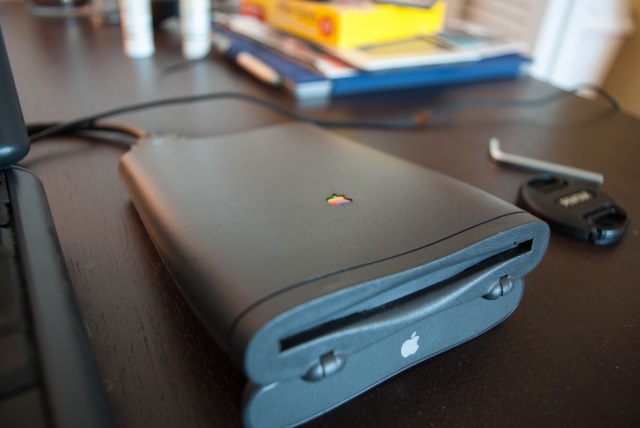 The 2400c was the smallest portable computer apple had made since the original PowerBook 100. It was so small in fact, that it only had room for an internal battery, it came with an external floppy disk drive (using a proprietary connector) and offered no external CD-ROM support other than the Mini-SCSI port. The keyboard and trackpad on this machine are pretty much garbage. The keyboard is almost too tiny to get anything done (remember the netbook craze of the mid-2000s?) ditto with the trackpad. Other than that, the design of this thing is quite nice. 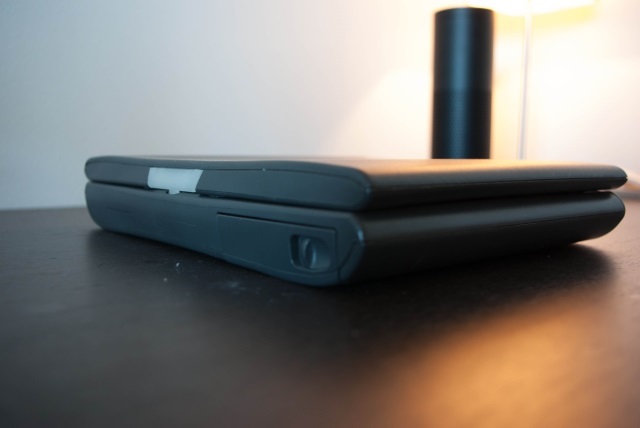 The translucent button to open the lid doubles as a green sleep LED indicator, and the generally curvy profile of the PowerBook is an interesting approach that we really wouldn't see again until the first wave of iBooks. My particular 2400c was originally a PowerBook 2400c/180, meaning it came with a 180MHz 603e PowerPC processor. 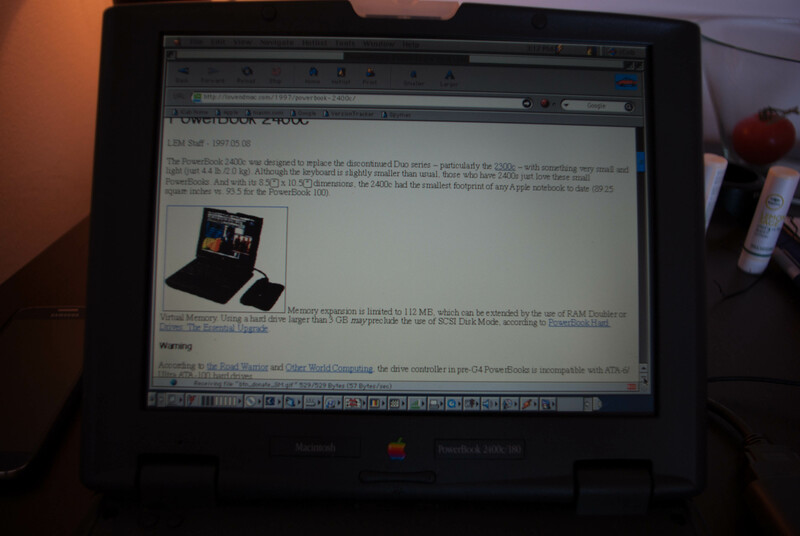 I say originally, because I took advantage of upgrading this using VImage's PowerPC G3 upgrade kit. It included the processor and a driver that allows you to turn on and off the backside cache to save battery life. This brought my 2400c to 320MHz, which is more than a slight bump in performance. The other thing you'll notice about my 2400c is that it is running MacOS 8.6. 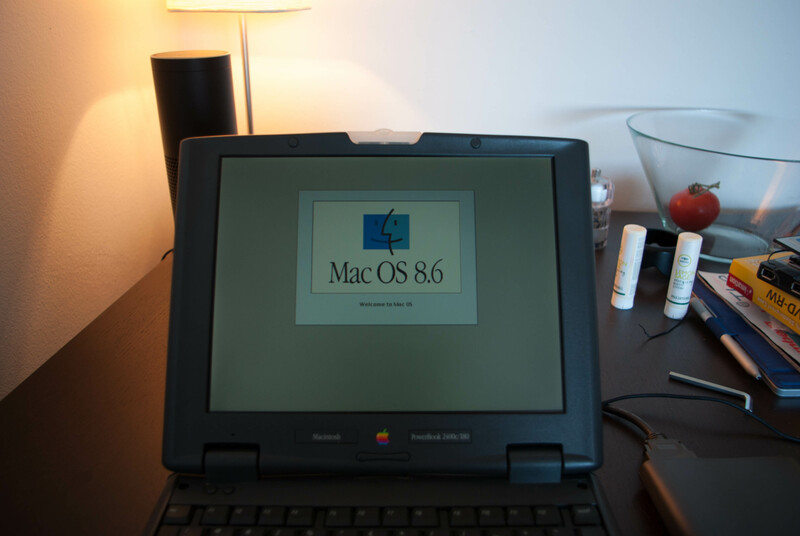 The 2400c can support up to MacOS 9.1, which I have run on this machine, but I have found it to run with much better stability on 8.6 instead. 8.6 is a bit leaner and, quite honestly, in 2016 the differences in software and features between OS 8.6 and OS 9 are negligible at best. An interesting note about the PCMCIA slots are that they can be compatible with the CardBus standard. The slots can technically fit CardBus cards, but by default the 2400c will simply reject them. By clipping and bypassing 2 resistors on the motherboard, you can activate using CardBus cards in the machine. I've tested this with a MacAlly USB card which provides 2 USB ports. I have used this to successfully transfer data back and forth on the machine using a flash drive. One final hardware modification I performed was converting the loud and slow HDD for a quiet (and equally slow) compact flash card using a product such as this, it's actually quite easy to do. 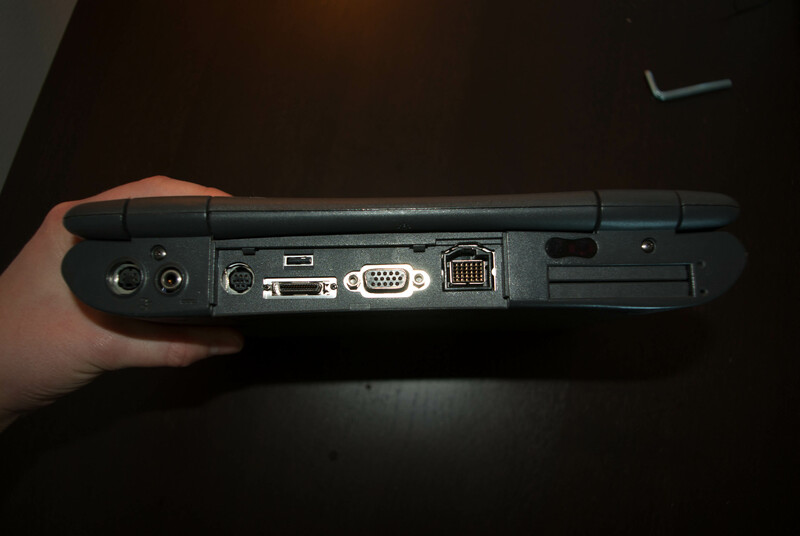 Once I put in the adapter and rebooted from the OS 8.6 CD, the installer saw the CF card as a regular HDD. One of the interesting things I was able to do is load a modern MP3 file onto the machine and play it back with iTunes. 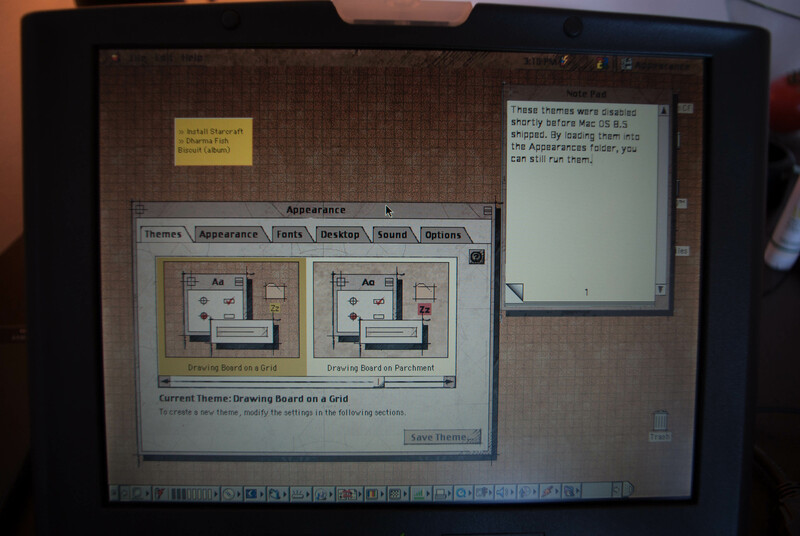 It worked quite well, actually and the little PowerBook even did a decent job rendering the visualizer, all things considered. The year was 1991. Personal computing was just becoming popular and 5.25" floppy disks were all the rage. Enter the CD-ROM. There was so much more storage potential, the possibilities seemed endless. When Sony released one of their first CD-ROM drives, they packaged it with a compliation of 6 discs called the "Laser Library." I suppose if you're going to drop $1,200 on a new technology, you might as well get some stuff to play with. One of these discs included the Microsoft's Bookshelf software. 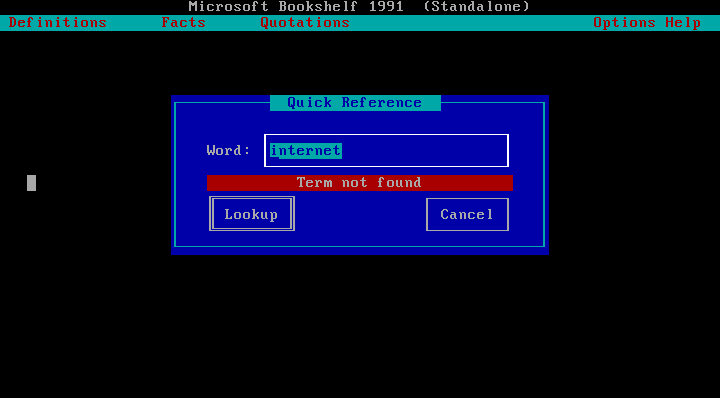 It was a DOS application that included a simple encyclopedia, a dictionary, thesaurus, quote-book, etc. I installed it on a FreeDOS virtual machine. First thing I did was try to define the word "internet." I guess it wasn't popular enough to have its own definition in 1991. Stay tuned for more old technology posts as I dig through my library of treasures. 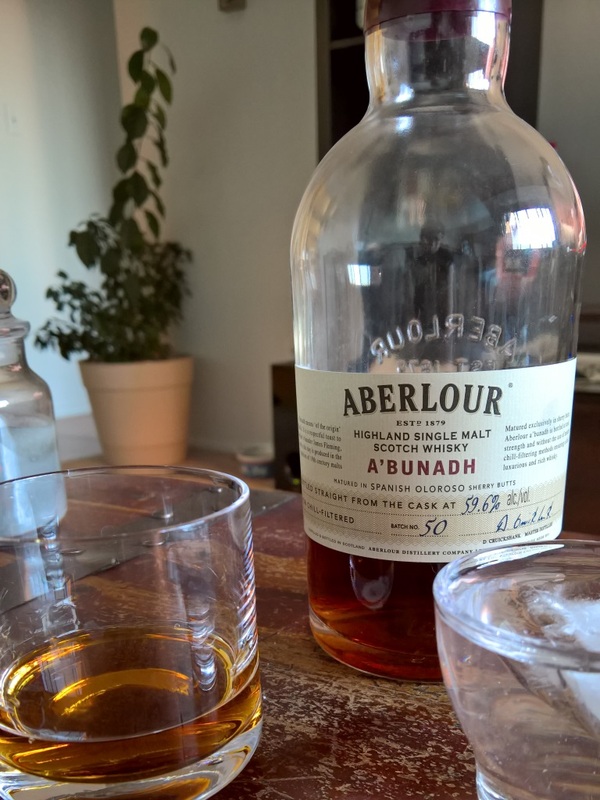 I love sipping on this scotch in while cooking or as a start to my evening. It's strong and goes well with a splash of water or a single ice cube. I'm curious how other batches of A'Bunadh compare to batch 50.